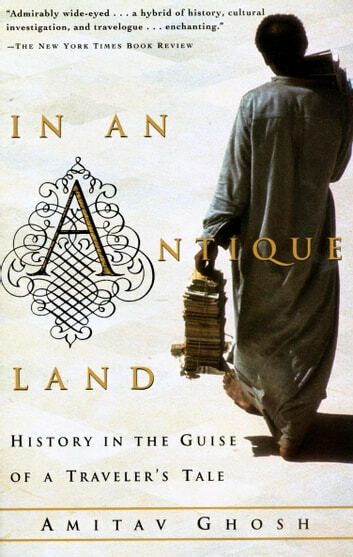 Once upon a time an Indian writer named Amitav Ghosh set out an Indian slave, name unknown, who some seven hundred years before had traveled to the Middle East. The journey took him to a small village in Egypt, where medieval customs coexist with twentieth-century desires and discontents. But even as Ghosh sought to re-create the life of his Indian predecessor, he found himself immersed in those of his modern Egyptian neighbors. Combining shrewd observations with painstaking historical research, Ghosh serves up skeptics and holy men, merchants and sorcerers. Some of these figures are real, some only imagined, but all emerge as vividly as the characters in a great novel. In an Antique Land is an inspired work that transcends genres as deftly as it does eras, weaving an entrancing and intoxicating spell.